My deep green T-shirt from Zara with the leather look cap sleeves, basic v-neck tees here. 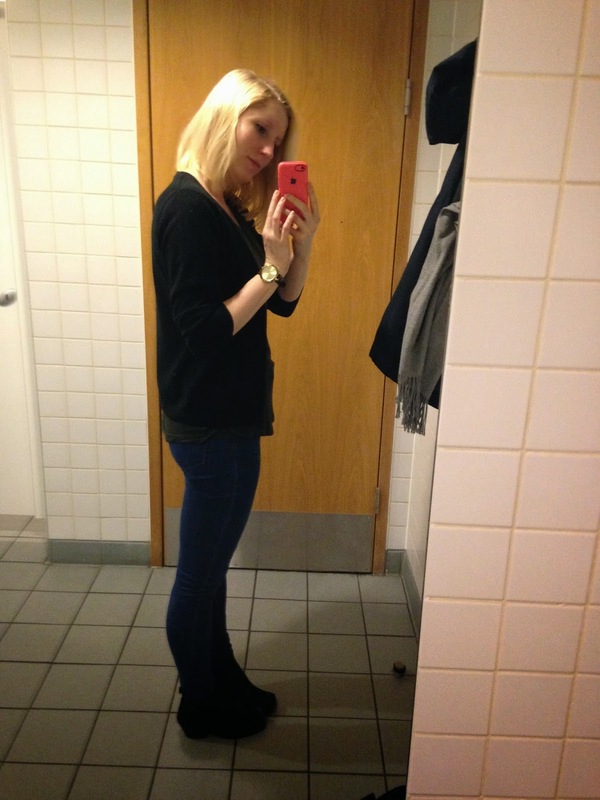 My black M&S cardigan. 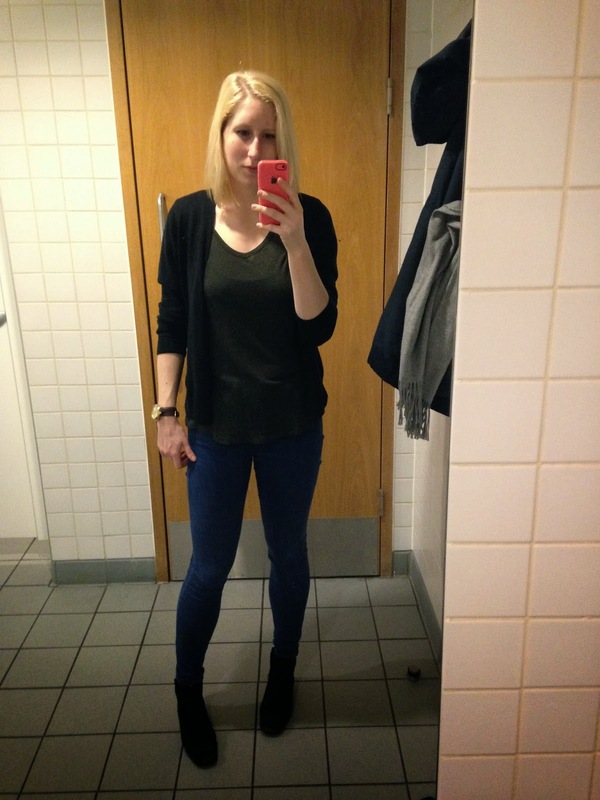 My blue Asos high waisted jeans. My Topshop black boots. 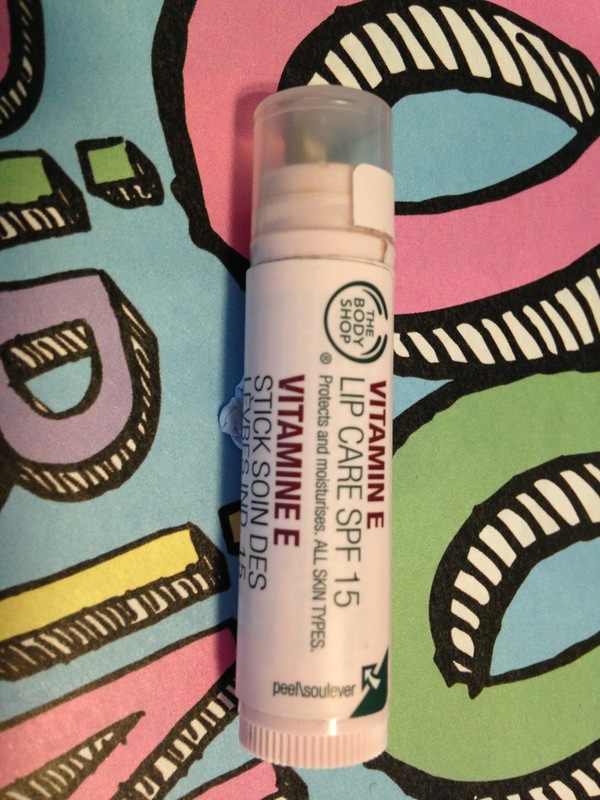 I have also been using a lot of my Body Shop Vitamin E as it has got a little chilly again and my lips are not taking to it well!